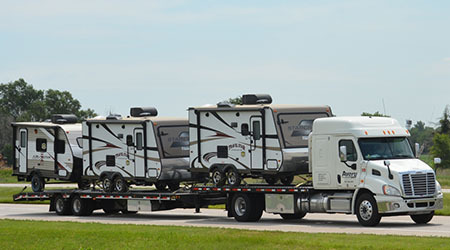 Since its founding in 1968, Avery Transport Inc., has remained committed to being the premier specialized recreational vehicle carrier in North America. Our goal is to continually achieve superior performance in customer satisfaction, safety, and operating results, while adhering to the highest standards of business conduct. Why choose UsBecause we are Reliable. With over 40 years in business we have a modern fleet of vehicles that ensures your shipment arrives on time and saves gas, which keeps our prices competitive. All our vehicles have onboard satellite tracking to give you up to date information. We deliver throughout the United States and Canada. Our MissionTo Redefine your Brand. 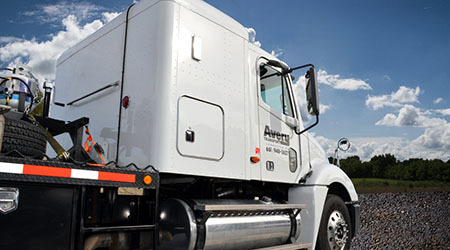 Modern fleet, satellite tracking and experienced staff with over 40 years of experience is what makes Avery Transport Logistics reliable. 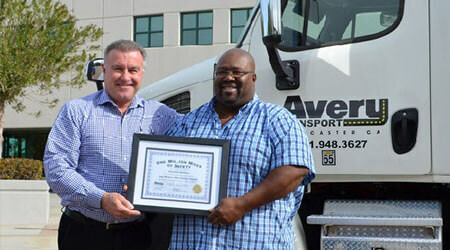 has earned the prestigious "Million Mile Award" and driver recognition from the National Association of Small Trucking Companies (NASTC). Copyright © 2018 All Rights Reserved by Avery Transport Inc.